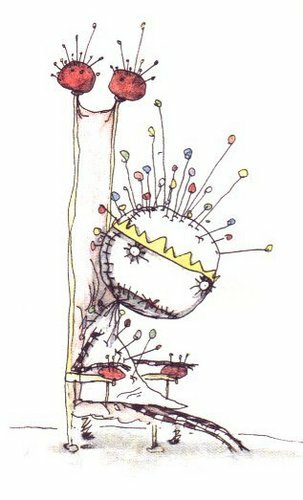 The Pin Cushion क्वीन. From "The Melancholy Death of Oyster Boy and Other Stories" द्वारा Tim Burton.. Wallpaper and background images in the टिम बर्टन club tagged: tim burton the melancholy death of oyster boy and other stories. From "The Melancholy Death of Oyster Boy and Other Stories" द्वारा Tim Burton.